Product Description: Exclusively Hand Crafted and composed of Stainless Steel. 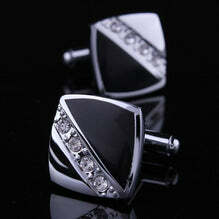 These Amedeo Cufflinks will add sleek luxury style to your tailored profile. Delivered in an elegant Amedeo Gift Box. These are a must have in every man's closet and also make a wonderful gift for that man! Designed for the classic gentleman, each Amedeo cufflinks have been expertly designed, cut, crafted & heavy – weight pressed by the finest artisans with the highest attention to detail from premium materials making these perfect for all occasions and your favorite French Cuff shirts. 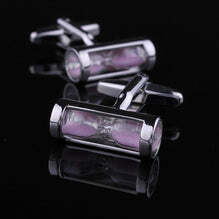 PACKAGING & SHIPPING: All Amedeo cufflinks come packaged in a high-end gift box.